This pre-trip checklist will help you take care of financial essentials before you embark on your gateway. Most people spend a lot of time planning a perfect vacation but forget to plan a very important aspect of traveling – Financial Planning. You may have done the same. Like others, you may have saved for the trip or taken a travel loan through apps or from banks to ensure your trip is enjoyable, conveniently forgetting the fact that you need to plan your pre-travel finances to ensure that you come back home to an unruffled life. Therefore, it’s crucial that you create a pre-vacation financial checklist to ensure your finances are in order while you’re away. The concept of a financial checklist is simple. It is a list of some dumb, some critical, some obvious things that you know you are supposed to do, but in the hustle bustle of vacation planning, you forget to do one or more things. Below is a pre-travel financial checklist you can steal to make it your own. Do a quick check on what bills you need to pay. Pay the bills that are due before you head out to travel. Set up automatic payments to pay the bills that are due while you are away. Figure out which credit and/or debit cards you’ll be traveling with. Inform your credit card companies and bank about your travel plans. So, your transactions while you’re out of town won’t be flagged as suspicious. Go a step further and take note of the contents of your wallets prior to departure. This list can come handy when you have to call your bank to report the lost or stolen wallet. Take photocopies of important documents, credit cards, insurance cards, driver’s license, and passports. Keep them in an envelope that can be safely stored in a room while you are traveling. Note: Credit cards may charge 2 to 4% for purchases made outside of the country. And some debit cards may charge fees when withdrawals are made from out-of-network ATMs. Consider getting an ATM/debit card that does not charge fees for the foreign transactions and/or for using other banks’ ATMs. Take credit cards that charge the lowest international fees. Having a budget is a must. Download apps to your phone from an app store to help you create a budget and stick to it. Read more on money saving tips on budget travel. Track your spending across all categories such as food, transportation, accommodations, shopping, etc. Take the time to review exchange rates prior to traveling. Research your travel destination’s currency at least 4 weeks before your departure date. Also research how to grab the best exchange rate, which is rarely found at the airport. Shop around and look for offers rolled out by various banks and kiosks. Ensure you’re insured. Travel insurance can cover anything – from medical expenses to theft, from canceled trips to travel inconvenience. Consider what kind of insurance coverage you might want or need and arrange it before you leave. If you already have health insurance, call up your health insurance company and ask them about the kind of healthcare coverage you have while you’re away from home. If you are planning to take your cellphone with you, ensure that you know what international roaming rated you would be paying. Research to find out cell service providers that offer good deals. Some may offer free international roaming but may charge extra for data. Keep extra cash aside. This will be your safety blanket. 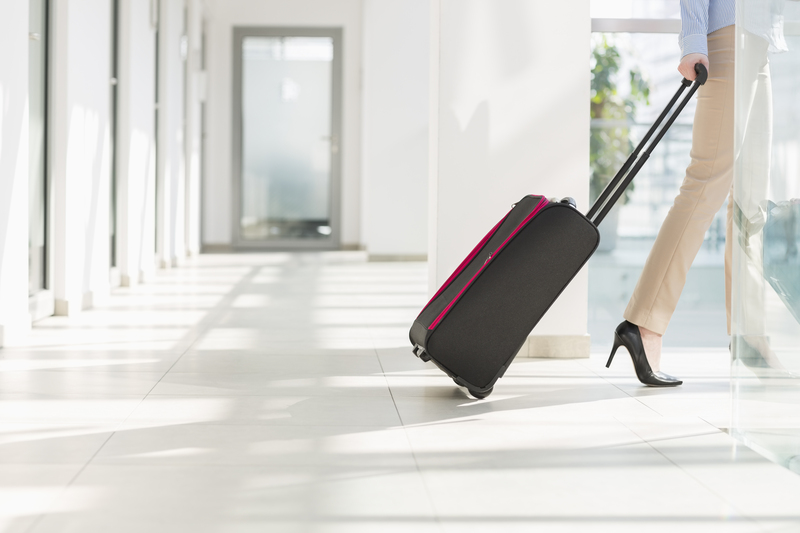 Consider taking an unsecured personal loan for travel as a cash cushion, so that you don’t have to use your credit cards or debit cards and pay fees. There, that should do it. This checklist will increase your ability to have a financially safe and enjoyable trip. Have a safe trip.